Work happens everywhere today. Light in scale and convenient, pull up this modern laptop table for those scheduled gatherings or the more serendipitous moments. 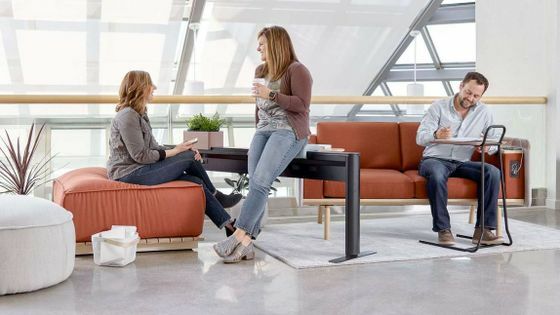 Purposeful details such as an inline handle for mobility and a device groove to keep screens readily accessible elevate this multipurpose laptop table’s utility.